"Massachusetts Births and Christenings, 1639-1915," database, FamilySearch (https://familysearch.org/ark:/61903/1:1:FZ3H-9YL : 4 December 2014), Elizabeth Wilcut, 06 May 1721; citing HINGHAM,PLYMOUTH,MASSACHUSETTS, ; FHL microfilm 426,570. "Massachusetts Births and Christenings, 1639-1915," database, FamilySearch (https://familysearch.org/ark:/61903/1:1:FZKC-XVG : 4 December 2014), Elizabeth Willcutt, ; citing , ; FHL microfilm 0873755 IT 4. Vital Records of Scituate, Massachusetts to the year 1850, Boston, Mass. : The New England Historic Genealogical Society, (1909) , Vol. 1, p. 411. "Massachusetts, Town Clerk, Vital and Town Records, 1626-2001," database with images, FamilySearch (https://familysearch.org/ark:/61903/1:1:FH6R-38Q : 13 July 2016), Hannah Wilcut, 22 Feb 1719; citing Birth, Hingham, Plymouth, Massachusetts, United States, , town clerk offices, Massachusetts; FHL microfilm 423,520. "Massachusetts Births and Christenings, 1639-1915," database, FamilySearch (https://familysearch.org/ark:/61903/1:1:FZ3F-9PG : 4 December 2014), Jesse Wilcut, ; citing , ; FHL microfilm 426,570. "Massachusetts Births and Christenings, 1639-1915," database, FamilySearch (https://familysearch.org/ark:/61903/1:1:FZ38-N68 : 4 December 2014), John Wilcut, 18 Oct 1716; citing HINGHAM,PLYMOUTH,MASSACHUSETTS, ; FHL microfilm 426,570. 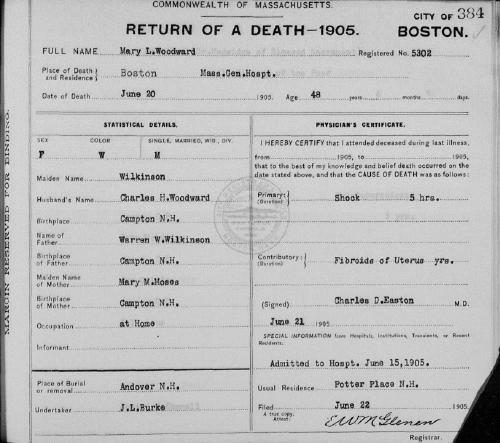 "Massachusetts Births and Christenings, 1639-1915," database, FamilySearch (https://familysearch.org/ark:/61903/1:1:FZKF-64R : 4 December 2014), Joseph Willcutt, ; citing , ; FHL microfilm 0873755 IT 4. "Massachusetts, Town Clerk, Vital and Town Records, 1626-2001," database with images, FamilySearch (https://familysearch.org/ark:/61903/1:1:FH6R-Z8B : 13 July 2016), Lydia Wilcutt, 18 Mar 1726; citing Birth, Hingham, Plymouth, Massachusetts, United States, , town clerk offices, Massachusetts; FHL microfilm 423,520. "Massachusetts Births and Christenings, 1639-1915," database, FamilySearch (https://familysearch.org/ark:/61903/1:1:FZKC-VV6 : 4 December 2014), Lydia Willcutt, ; citing , ; FHL microfilm 0873755 IT 4. Philip Wilcutt was born perhaps about 1688. Vital Records of Scituate, Massachusetts to the year 1850, Boston, Mass. : The New England Historic Genealogical Society, (1909) , Vol. 2, p. 329. "Massachusetts, Town Clerk, Vital and Town Records, 1626-2001," database with images, FamilySearch (https://familysearch.org/ark:/61903/1:1:FHDG-2HW : 13 July 2016), Elizabeth Willcut, 25 Aug 1713; citing Birth, Hingham, Plymouth, Massachusetts, United States, , town clerk offices, Massachusetts; FHL microfilm 423,520. "Massachusetts, Town Clerk, Vital and Town Records, 1626-2001," database with images, FamilySearch (https://familysearch.org/ark:/61903/1:1:FH6T-K8G : 13 July 2016), Deborah Wilcutt, 30 Aug 1714; citing Birth, Hingham, Plymouth, Massachusetts, United States, , town clerk offices, Massachusetts; FHL microfilm 423,520. "Massachusetts Births and Christenings, 1639-1915," database, FamilySearch (https://familysearch.org/ark:/61903/1:1:FZKZ-4LG : 4 December 2014), Sarah Willcutt, ; citing , ; FHL microfilm 0873755 IT 4. "Massachusetts Deaths, 1841-1915," database with images, FamilySearch (https://familysearch.org/pal:/MM9.3.1/TH-267-12826-4969-36?cc=1463156 : 20 May 2014), 2070299 (004292347) > image 1134 of 1823; State Archives, Boston. JEWEL A. WOODWARD, Houston Chronicle, Houston, Texas, October 1, 2009. He is the son of Zack Earl Williams and Linda Lou Abbott. Robert married Brandy Lehane Zdansky on April 14, 2007 in Nueces County, Texas. Robert E. Williams is online at https://www.facebook.com/CCDesigner. Scott Tmd Williams is online at https://www.facebook.com/profile.php?id=100001322038015. As of 2012, Zack Earl Williams lived at Ontario, San Bernardino County, California. In 2006, he gave $200 to the National Rifle Association of America Political Victory Fund. State of California, California Divorce Index, 1966-1984, Sacramento, California: Center for Health Statistics, California Department of Health Services,. "Deaths", The Christian Register, Vol.93, , at https://books.google.com/books?id=m-MfAQAAMAAJ . Boston, Mass. : Christian Register Association, (May 14, 1914) , p. 477. Lorenzo Dow Willis was born perhaps about 1805.